Set against the beautiful backdrop of Sierra Madre Resorts, Cinemworks captured the love story of Jaycee & RJ --romanticized in a series of beautiful shots twisted with a lot candidness in between. 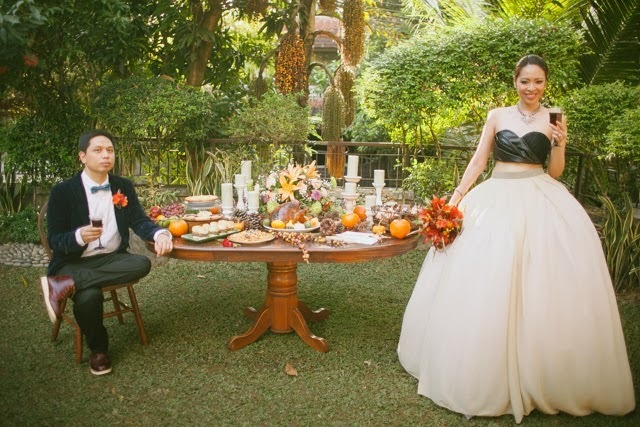 "We wanted our wedding reception to be very light and casual--a venue where we can share with everyone our love story and who we are that's why if you noticed, our interview was like us talking to our kabarkada asking about us and our relationship. We also did not know what each one answered to the question to give it that "surprise" element." You really know when a wedding film is in a different level by the way you catch yourself laughing or being moved by the storytelling even if you don't know the couples personally. And Cinemaworks did just that. But in our case though, we know the couple from our Thanksgiving Backyard Editorial Shoot (BACK TRACK HERE). And we can't help but cheer for these two lovely people. Congratulations Jaycee & RJ! Can't wait to see the wedding! Designer wedding gowns have modified after a while completely even though every little thing in the world capabilities. Within circumstances regarding preceding flavor the women motivated a wedding attire based upon your ex economic standing up. Females off a long time who had previously been on the economical downside typically wouldn't have the high-class regarding buying a excellent stunning wedding dress that you will find put on only one time. Otherwise, nearly all motivated some thing much more "plain" which is put on concerning non secular organization suppliers as well as other circumstances following the happy evening. http://www.artweddings.com/bridal-party-dresses/ for best wedding dress and I hope this is the best place to collect your wedding dress.